MY FATHER: MY WALL, MY INSPIRATION. One evening, a few days after I moved out to my new home, the kids were at their daddy, a sudden panic got me. How was I going to pull it off? How was I going to take care of a house, a backyard, a garage, the kitchen, the cleaning, the raising, the making money, the front yard, the car, the children, their emotions, and me and my emotions? How can I possibly do that on my own? My dad was alone raising 4 kids. He always had been my wall, my safety net, my security. I knew that no matter what, I could come back home. He was so solid (with many many unhealthy behaviors) and he was my person to go to anytime my heart was asking question. He always seemed to know what to tell me. My then- husband became my wall and my person to go to when my heart was aching. He was my security. 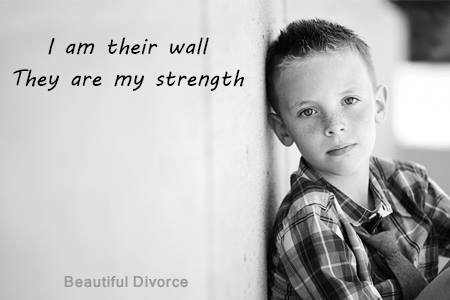 My dad died 8 years ago and I just divorced my wall. I felt completely alone and so little. Like a 7 years old in a world of growing ups and looking around and not understanding what’s going on, or where to go, what to do. Completely lost. I was on the floor crying myself when this came to me: YOU are now THEIR wall. Be strong for them. Of course, my children. They always have given me the strength to get up. I am no longer a child of my father, I am now the mother of my children. I am their wall. I am their safety net. I am their security. I am their Wall. I got up, I finally filled my shoes.